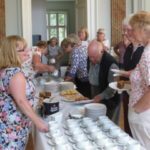 The July edition of ‘In the Ballroom’, the welcoming social gathering at the Court House with tea, cake and a talk has a change of guest speaker. The scheduled talk about the local boxer Randolf Turpin has had to be postponed. Instead there will be an illustrated talk by the popular Warwick historian and author Graham Sutherland, who will be investigating ‘Curiosities’ locally and further afield. Intrigued? To find out more, come along to the Jury Street Court House at 2pm on July 5th. 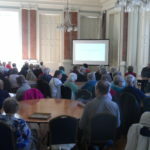 In the Ballroom – a talk or activity with time to chat. 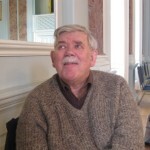 ‘In the Ballroom’ takes place on the first Thursday of each month. The social gathering is organised by the Unlocking Warwick volunteers and the Town Council, and costs just £2 per person. On August 2nd there will be an activities afternoon with table-top games and a quiz; on September 6th there will be a Cream Tea with music hall songs; on October 4th a talk about Fakes and Fortunes at Auctions; on November 1st learn all about the amazing Warwick Poppies 2018 display at St. Mary’s marking the Armistice Centenary, and on December 6th it will be time for Christmas Carols.